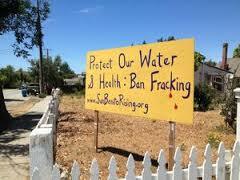 Grassroots activists are waging a hard-fought battle to win Measure J to ban fracking in their county. They are faced with oil industry’s millions that have buried voters with TV and radio ads (even on Pandora), mailers, and paid professional canvassers to defeat Measure J. This barrage has confused voters and only one-on-one contact at the door or on the phone can clear up the confusion and get our message out. Can you join us in phone banking on Sept. 23? Why you should be concerned: Two years in a row oil industry money killed statewide moratorium bills. Oil money has pressured local elected officials to vote down local ordinances or even reverse their votes after passage. When the governor, our state legislators, and local elected can’t protect us, the last recourse is voters taking matters into their own hands and ban fracking through the ballot measure process. 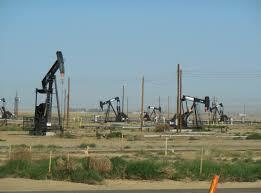 If San Benito wins, it will spark a movement of cities and counties using the ballot initiative to ban fracking. If the oil industry wins, it will be a major setback to the anti-fracking movement in California. We can’t let this happen. With your help we can win Measure J. If you can join us, please RSVP to ljfoo94546@yahoo.com.